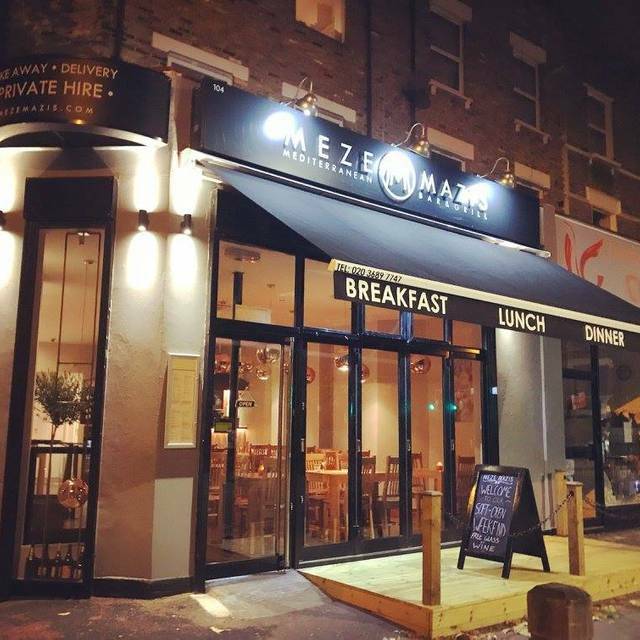 Located in Balham, our family-owned restaurant offers guests the food and warmth of the Mediterranean. 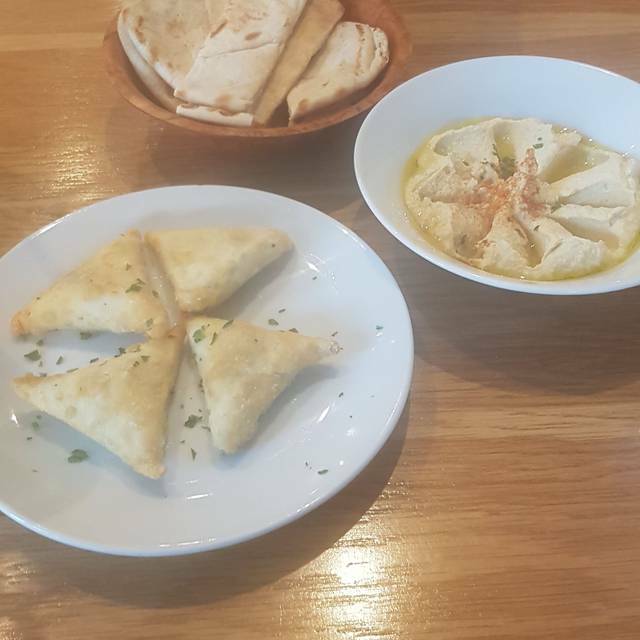 Our food is a blend of Greek, Turkish and Italian brought to you by Head Chef Ben and his team. In his 17 years of experience, Chef Ben honed his recipes in Central London’s Victoria, known for his refined charcoal-grilled cooking style and homemade Baklava. He has since stayed true to his authentic Mediterranean roots with all his recipes cooked fresh. Excellent quality of food at a very reasonable price and very friendly and efficient service. We will be back again. Delicious food; my family were very well looked after and we shall be back soon. Great food with good vegetarian options, great service, good portions. I thought the service and food at meze mazis was good but for a saturday night there were very few people in the restaurant so the ambience was too quiet. Shame as its a good spot. I would consider going with a larger crowd next time. Great value food, super friendly staff and a cosy atmosphere. Will be visiting many times omore I'm sure, Would highly recommend! Great food (generous portions) and really pleasant service, with a decent wine list. Overall nice little restaurant with a cosy, family-run feel. Will go back! Neighbourhood gem - really friendly, polite staff. Delicious fresh food and the quality of the lamb was great, so tender. Had a business lunch here a few months ago and was impressed. Went back with two friends - everyone loved it and said they would go back. Says it all. 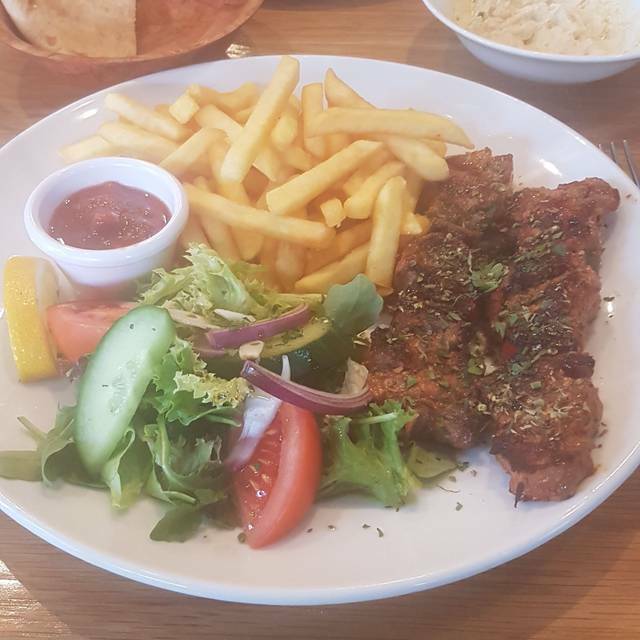 Food was great and as you would expect (lamb shish was particularly good), portions were big and the service was fab. The food was absolutely delicious and the service was excellent. I would highly recommend this restaurant. Great service and fantastic food. The lamb cutlets were amazing. Delicious food and a lovely little restaurant just away from the hustle and bustle of Balham's other bars and restaurants. We had a lovely evening here tonight. Good food and even better service - very friendly and attentive. Thanks very much! I recieved very good customer service from staff and was made to feel welcome. i would recommend if you want to have lunch or a drink with your friends, very nice atmosphere and ambience. Lovely restaurant, with amazing food and great service! This is my third time at this restaurant and each time Ive had a lovely experience. They were easily able to cater for the needs of my group, I have an onion allergy and my friend is vegan. My only complaint would be with the cost of the prosecco. £30 is way above standard restaurant pricing so could do with a price check on that. Otherwise I have already recommended to other friends. Really nice local restaurant with great service - the young waitress who looked after our table was so lovely. Made one mistake on our order but fell over backwards to rectify it (we weren't angry or pushy in the slightest, i just think they were nice!). Good value, date loved it, nice open frontage for summer. The service was excellent, the options clearly explained by the staff. The staff were friendly (not to formal). The food was delicious, I can'r recommend it enough! Absolutely delicious food, and the service was great. Have lived in Balham for years, and only just 'discovered' this place for myself right as we are moving away. Will be back before we go! Really decent Greek food. Good selection, all well prepared with friendly waiting staff. High chairs provided for the minions. Lots for veggies to eat. Great new-ish restaurant in Balham which has lacked this style of food since the Greek Restaurant closed a few years ago. Although I live a few minutes away, I rarely walk down this road. Wish I'd visited before. Based on my first experience I think I'll become a regular and progressively eat through the menu. Fantastic modern Turkish food with a bit of a twist with the hot sauces. Can't fault it. Get down there. As this restaurant has only been around for 5 months, my girlfriend and I had not heard about it, but we will definitely be going back! Great service and great food, lovely decor and ambience, attentive and caring staff. Give it a try next time you’re in Balham! Fabulous food, great ambience, impeccable service. Would certainly go back here again and again. Lovely little find around the corner. Good quality, affordable food, and great attentive service. We did go for an early dinner, which could be the reason for the slight lack in ambiance, with only two other diners, however, I would definitely recommend, and hope to return soon!! Visited for brunch and found the restaurant well presented and friendly staff. The Mediterranean breakfast was spot on, good coffee and eggs cooked how you like them. No rush and could enjoy a leisurely mint tea afterwards. I would definitely return for brunch or at another time of day to try out the main menu. Worth the few minutes walk away from the central hub of Balham. Lovely meze dinner with a good atmosphere. The drunken calamari were amazing! Tasty food served on time. Helpful waiter, overall very nice. The food was amazing, atmosphere just perfect and the service was really exceptional. This is an absolute gem in the area and I'm so glad I have discovered this restaurant. I would definitely come back here again with a small or larger group. Attentive service warm and welcoming, great food. Would defiantly recommend. Great food, friendly staff. What more could you ask for?